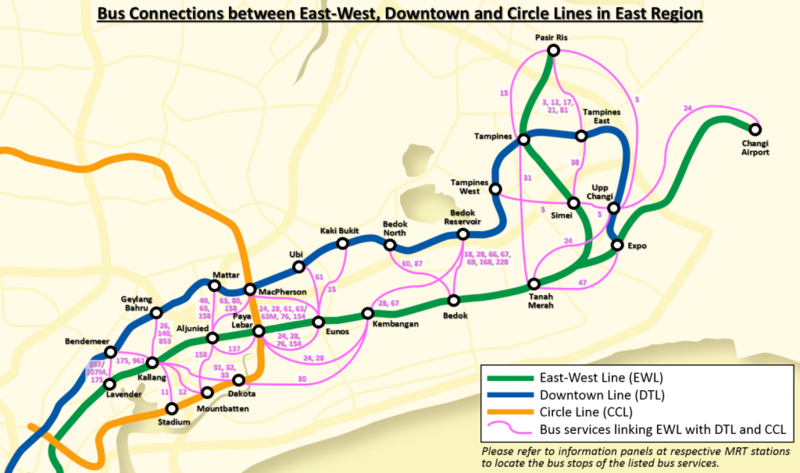 Shorter operating hours along the East West Line (EWL) will take effect on selected days in January 2018 to facilitate additional engineering hours for re-signalling and maintenance work. This will involve early closures, late openings, and full-day suspension of train services along the EWL. 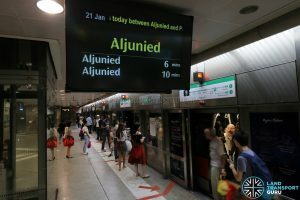 In addition, reduced train frequencies will be implemented on the North South Line (NSL) during the early and late service hours, but operating hours remain unaffected. Check out the dedicated article (Reduced Train Frequencies on North South Line) for more details. These closures allow more time for rail maintenance and renewal works to be carried out, as well as checks conducted on the new signalling system. 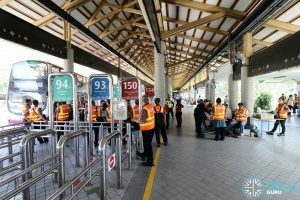 In the wake of the Joo Koon train collision incident in November 2017, old and new signalling system-equipped sections of the EWL are physically separated until resignalling works are complete. Click here for the Reduced Train Frequencies on North South Line in Jan 2018 article. More reduced train operating hours are expected in the first half of 2018 to accelerate the resignalling project, and details for subsequent months will be announced by the Land Transport Authority at a later date. For a detailed write up on the CBTC resignalling project, check out CBTC Implementation: A review. Four Shuttle Bus Services will be provided throughout the duration of the early closures. Fares for the Shuttle Bus Services are equivalent to the distance travelled by train. Click on each individual shuttle service for more information on the Shuttle Service. 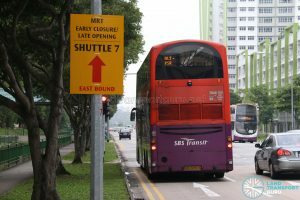 Shuttle 7 plying Aljunied to Pasir Ris is the main link for affected commuters, and buses are operated at high frequencies to deal with the crowd. 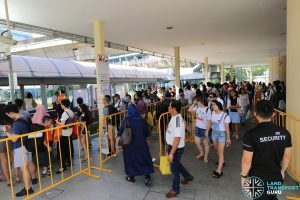 However, congestion continues to occur at the shuttle bus stops as a result of the slow rate of boarding and alighting of large numbers of commuters. 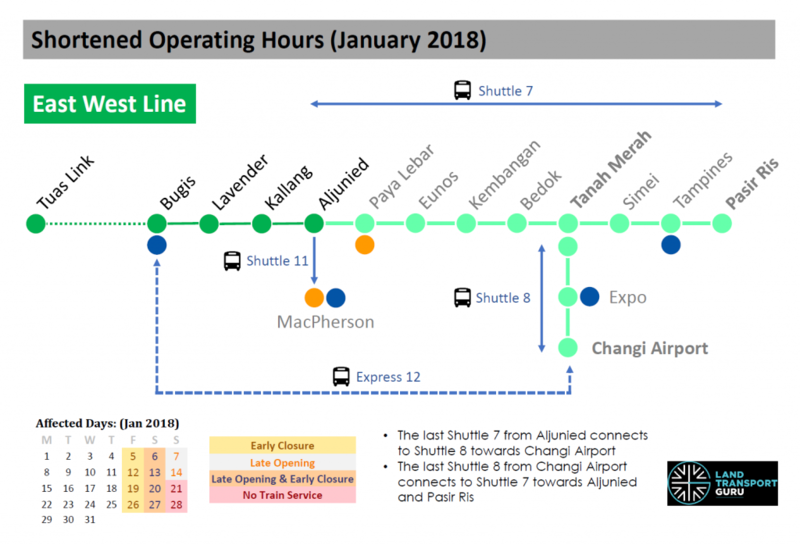 With no train services at Changi Airport, Shuttle 8 and Express 12 are offered for commuters heading towards Tanah Merah and Bugis (Express). 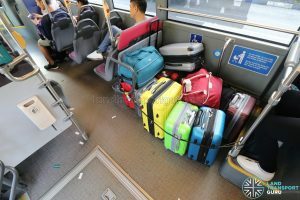 A luggage area is also designated on Express 12 buses, with ground staff assisting with the loading and unloading of luggage. 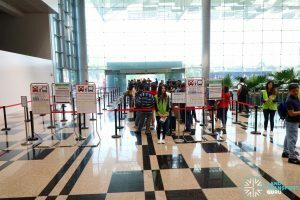 Regular bus services serving Changi Airport were also observed to be overcrowded. 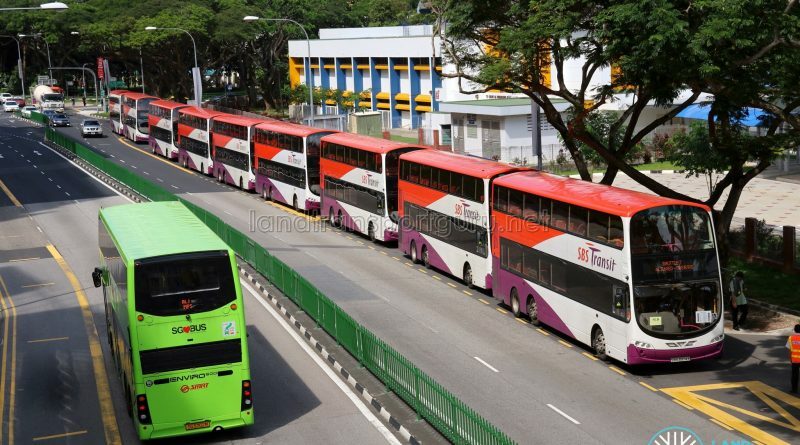 SBS Transit, which operates Shuttle 7, swaps drivers at Eunos Bus Interchange. 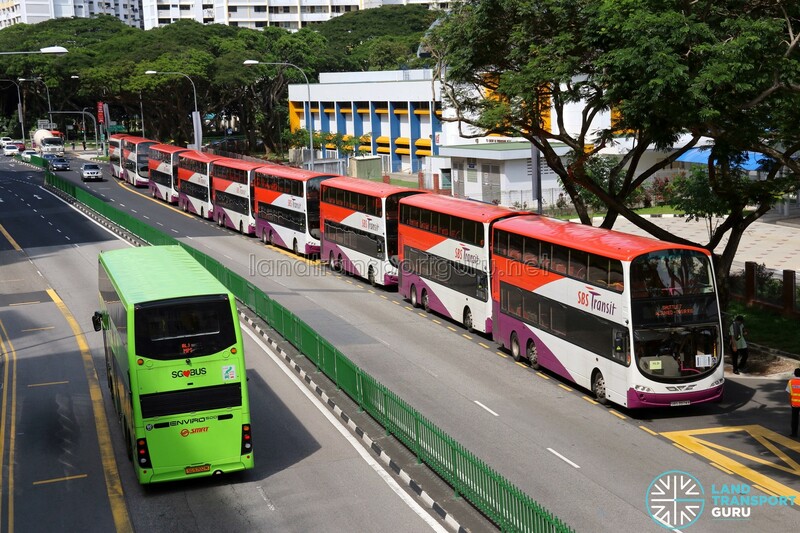 SMRT Buses, which operates Shuttle 7 and 11, operate out of Lorong 1 Geylang Bus Terminal where drivers take breaks. 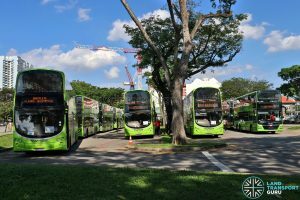 For Airport-plying services (Shuttle 8 and 12) operated by Tower Transit, Go-Ahead Singapore and SMRT Buses, drivers take breaks at Changi Airport Terminal 4 Coach Park and Changui Business Park Bus Terminal. Bus Captains are deployed on either the morning or afternoon shift. A small number of split-shift drivers are scheduled to run trips during mealbreak periods. For more photos, check out Page 2.